Leveraging sensors, door locks, thermostats, Amazon’s Alexa, and other components, Sky promises to create an intelligent home. I’ve been living in a smart home for nearly 10 years. It’s filled with sensors, smart lighting, voice recognition, security cameras, a smart thermostat, and more. In spite of all its capabilities, my home would be completely dumb if I hadn’t dedicated hours upon hours telling it exactly how all of those components should work together, and then constantly tweaking those instructions when I add or subtract components and as my life patterns change. All that silicon made my home smart, but not intelligent. 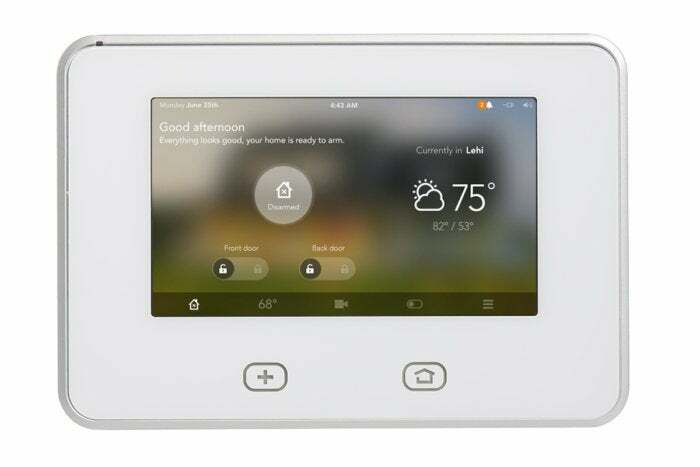 Vivint says its new Sky system can change that. Amazon’s Echo is versatile and powerful; it's a terrific value all around. Sky is a cloud-based artificial intelligence that promises to eliminate the need to program your smart home system. You’ll no longer need to write complicated scripts telling your system what it should do in every conceivable scenario or sequence of events, or become frustrated at your inability to predict them all. Sky, according to Vivint, can accurately detect the state of your home and automatically issue appropriate instructions to its various systems: Is the home occupied? By whom? Which lights are on? Does the temperature need to be managed? Are the occupants awake or asleep? Should the doors be locked? And so on. Vivint’s Element smart themostat has an onboard motion sensor. It works with other sensors in the home to determine if the home is occupied or empty. Vivint Sky will be proactive when it comes to securing your home while leaving you in ultimate control. Vivint doesn’t intend to compete with products such as the Echo or Google Home; it will incorporate those devices instead. “We think of the Echo and Google Home the same way we think of Android OS,” said Warren. 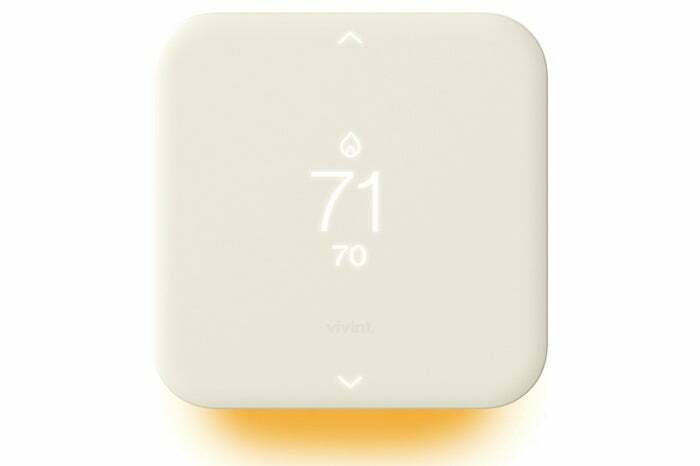 “We’re not going to reinvent smart speakers or voice control, but we want those things to be included.” While Vivint offers its own smart thermostat, it can also incorporate the Nest Learning Thermostat into its system. Vivint’s existing smart home offering already incorporates the Echo. You can tell Alexa to turn smart lights on and off, lock smart deadbolts, control the thermostat, close your garage door, arm the security system itself, and more. But she won’t unlock doors, open the garage door, or disarm the security system because that would leave you vulnerable. The Echo responds to voice commands, but it can’t distinguish between residents and burglars. 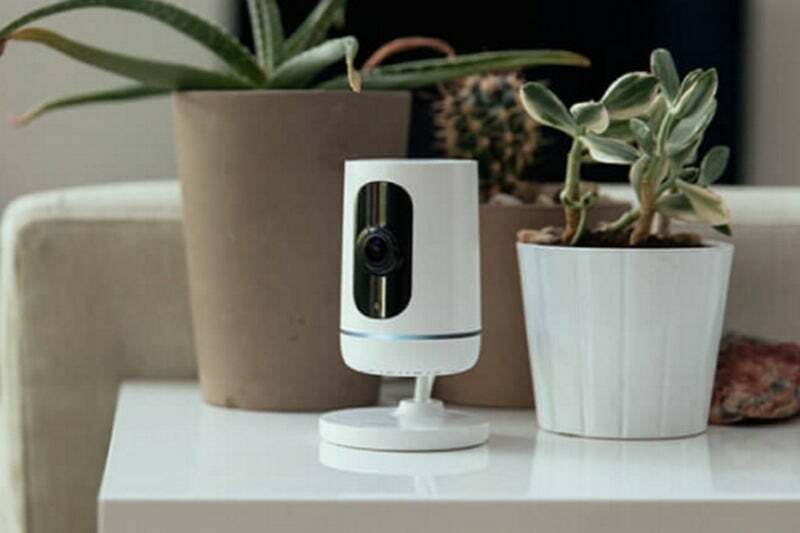 In addition to having a motion sensor, Vivint’s Ping security camera can be used for two-way video conversations to a smartphone. Vivint says Sky will be incorporated into its existing smart home offering at no additional cost, and that it will be rolled out starting in the second quarter of 2017. “We’re not looking for ways to upcharge people,” Eyring said, “we just want to add value to the systems people already have.” Vivint systems are professionally installed and generally require long-term contracts with monthly subscription payments (starting at $39.99 per month) in exchange for receiving some of the equipment for “free.” You can compare Vivint’s offerings here.